The Stable in Whatstandwell, near Matlock, Derbyshire sleeps 4 people. The Stable near Matlock is a detached cottage which is in a great location for discovering fabulous Derbyshire towns and villages, as well as the magnificent walking trails in the Peak District National Park. 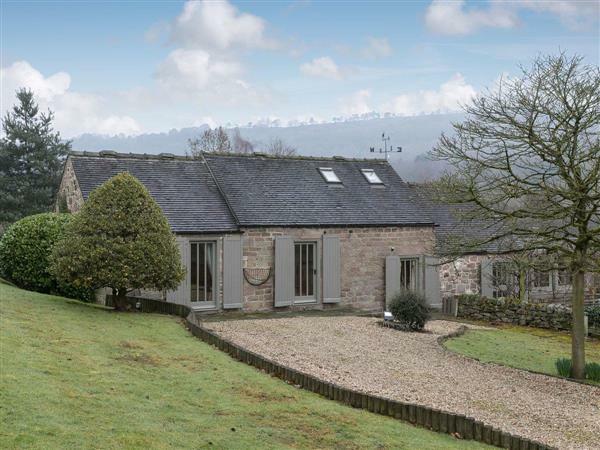 Beautifully designed throughout with attention to detail, this cottage is a real gem. Outside you will find landscaped gardens and a patio area in which to relax and enjoy. Situated close to the popular Peak District town of Matlock, together with its neighbour, Matlock Bath, this wonderful place has been attracting visitors since the spa was developed in the late 17th century. Set in the beautiful wooded gorge of the River Derwent, Matlock and Matlock Bath offer a range of shops, pubs and restaurants, as well as a host of attractions including Gulliver’s Kingdom and the Peak District Mining Museum. Why not take the cable car which takes visitors up to the Heights of Abraham to enjoy magnificent views down the gorge? It’s a great place for all the family with show caves, nature trails, water gardens and Owl Maze. There are many other places of interest within a short drive including Chatsworth House, Haddon Hall, the market town of Bakewell, the famous High Peak Cycle Trail, Arkwright’s Mill, Matlock Farm Park and the Crich Tramway Museum, to name a few. The shop is 5 miles from The Stable near Matlock, with the pub 2½ miles and the restaurant is ½ mile from The Stable. Living room: With Sky TV (basic package), DVD player, Bluetooth speaker and beams. Kitchen/dining room: With oil-fired range, electric oven, induction hob, fridge/freezer, dishwasher and tiled floor. Bedroom 2 (open to landing): With double bed. Oil central heating, oil, electricity, bed linen, towels and Wi-Fi included. Welcome pack. Landscaped garden. Courtyard with lawned area and patio. Private parking for 4 cars. No smoking. Holidays at The Stable run from Friday to Friday. The Stable is in Derbyshire; should you be on the lookout for a special offer, you can find all the special offers in Derbyshire. It's always worth checking to see what is on offer at the moment. Do you want to holiday near The Stable (UK10651), you can see other cottages within 25 miles of The Stable; have a look to find your perfect holiday location.